Our advanced facilities are able to cope with a wide range of surgical problems. 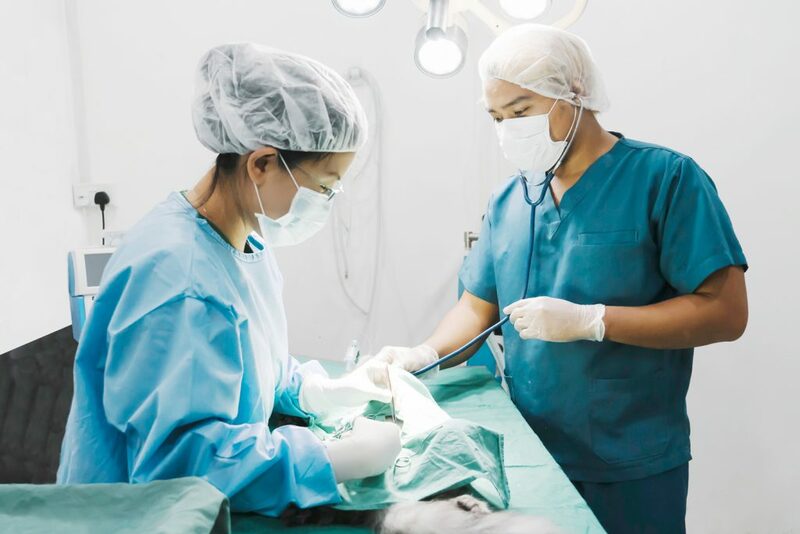 We are equipped to perform various surgeries including routine surgeries such as cystotomy, neutering, lump removal even at fairly short notice. We have access to modern anesthetic to ensure the safest possible anesthetic for your pets with fast recovery time. Keyhole surgeries is an option to reduce pain and accelerate recovery for pets. Our practice is equipped with advanced laparoscopy and endoscopy machine, allowing us to provide more accurate diagnosis and effective surgical treatment. Routine spays and undescended testicles neutering are examples of various procedures that can be performed via keyhole surgeries. Our practice is able to perform soft tissues procedures using state of the art equipment such as the ForceTriad TM Energy Platform which is a full-featured electrosurgical system that provides electrosurgical cutting and coagulation, bipolar functionality, and vessel sealing in a single generator. We also have the LigaSure vessel sealing device which minimizes bleeding and tissue damage during surgeries. Selected Orthopaedic Surgeries such as Femoral Head Osteotomy, Patella Repair, Amputation etc.